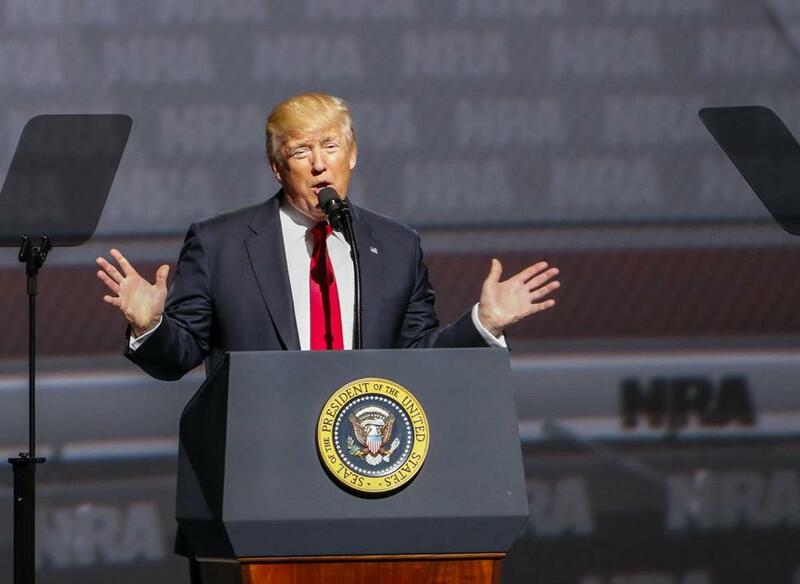 President Donald Trump spoke to the National Rifle Association. Senator Elizabeth Warren isn’t running for president, but President Donald Trump is preemptively knocking her at a speech to the NRA in Atlanta. Discussing the 2020 election, Trump warned Democrats will be after the presidency. “It may be Pocahontas,” Trump told the NRA members, using a derogatory nickname for Warren and speculating on the possibility of a Warren campaign in 2020. Trump frequently referred to Warren as ‘Pocahontas’ on the campaign trail and after his election, referring to Warren’s controversial claim of Native American heritage. For her part, Warren has said she plans to run for Senate re-election in 2018 and has said she isn’t running in 2020. “No, I’m not running,” Warren said during a TODAY show interview when pressed.